This post is going to be a quick review of the pre workout supplement White Flood by Controlled Labs. I only had a sample pack of White Flood, so this review is going off one workout of using the supplement. With that said, I do feel like I got a good feel for the supplement and can review it fine. 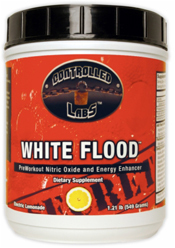 White Flood is a pre workout nitric oxide and energy enhancer. The supplement is broken down into three main complexes. The first they call the Nitric Flood Complex. This consists of Citrulline, Ornithine and Carnitine Tartrate. I talked a bit about Citrulline in my review of PRE- yesterday. This complex is going to help with your fatigue levels in the gym, and help you get a few more reps during your workout (leading to strength gains). The next complex is the FlooDurance Complex, which contains Beta Alanine and L-Tyrosine. This is going to help again with your muscular endurance and help delay fatigue. L-Tyrosine is also used for energy. The last complex is the Live Energy Complex, which contains a number of ingredients including Beet Root, Caffeine, Cocoa Bean, Sugar Cane, and more. 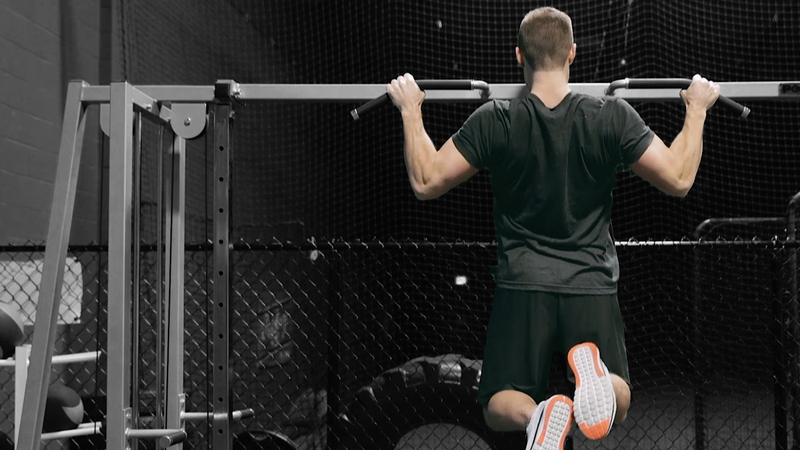 This complex is there to give you energy and help you focus in the gym. How Did It Taste and Mix? I had the Fruit Punch flavor for my sample of White Flood and it mixed pretty good in a basic shaker cup, like most pre workout supplements do these days. I would say that this was one of my least favorite tasting pre workout supplements, although it wasn’t too bad. I don’t really care about the taste of my pre workout shakes as long as they work, but a delicious tasting drink before a workout is a bonus. For review purposes I’m going to give the taste a 7, while most pre workout supplements I review (often Fruit Punch as well) get 8s, 9s or 10s. I’m happy to report that White Flood seemed to be very effective. I took this about 30 minutes before my workout and by the time I hit the gym floor I was energized and focused on having a good workout. I had the equivalent of 1.5 scoops and the caffeine dose wasn’t too high for me at all. Sometimes the first time trying a pre workout I will get shaky from too much stimulants, but this was perfect. I felt like I got through my workout without getting too tired and got some extra reps in each exercise that I wouldn’t have without the White Flood 30 minutes prior to working out. I noticed some extra pump throughout my workout too. The drink sat perfectly fine in my stomach as well, and overall it was a really good experience. For review purposes I will give White Flood an 8.5/10 with the only real downfall being the taste (although that shouldn’t matter much). With a better taste it would get a 9 on my effectiveness review. I would give White Flood serious consideration for my next purchase of a Pre Workout Supplement. In case you’re wondering, White Flood is one of the best priced supplements out there as far as pre workouts. You can get 100 servings at BodyBuilding.com (which will last anywhere from 50-100 workouts depending if you go 1 or 2 scoops) for just $43. Considering the suggested retail price is $73 this is a steal. You are pretty much paying 50 cents to a dollar each time you use White Flood if you want to look at it that way.